The Peak is one of the most exclusive areas in Hong Kong. Here the affluent enjoy an idyllic lifestyle in mansions sited amongst the tropical vegetation which has grown up around them. It was not always like this and when the British took over Hong Kong the Peak was just one section of a “barren rock”. No one bothered with it and it took some years before a few pioneers found out that living in the Hill District had advantages, particularly in the summer. Gradually development expanded, and more people ventured up the steep paths. The opening of the Peak Tram in 1888 spurred more development and people began to live there year-round. A community developed including a Church, a Club, hospitals and hotels and much more. Richard Garrett has researched the progress and his talk provides an introduction to what the Peak is all about. Copies of his book will be available at the talk. Richard graduated from Trinity College, Cambridge and moved on to a career in Civil Engineering. He came to Hong Kong in 1973 to set up a design office for the firm of Maunsell Consultants Asia Ltd. He was responsible for major construction projects throughout Hong Kong and got to know much of the Territory. After retiring he started writing about the history of the area. 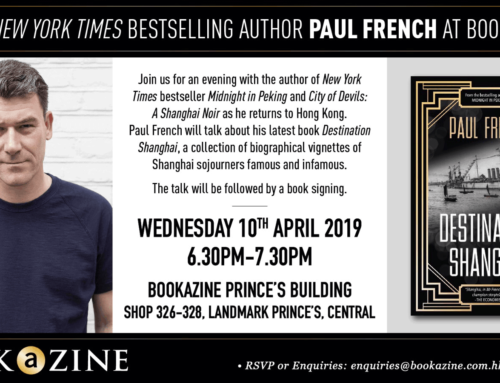 His book The Defences of Macau was published in 2010 and he writes a regular column for CityLife Magazine under the banner of History Matters. He has lived on the Peak for over 40 years and has often walked the paths and roads that criss-cross the area. If i will be there, i will be very happy. I miss the colonial Hong Kong I knew and I grew up.